In Illinois, the DuPage County State's Attorney announced Tuesday that the teen who beat a Sikh man in the face in Darien last week, calling him "terrorist" and "Bin Laden," has been charged with a hate crime, in addition to the previous charges of felony aggravated battery. Turns out, it wasn't just a "road rage incident." Last week in the Chicago suburb of Darien, 53-year-old Inderjit Singh Mukker, who wears a turban and a beard in observance of his Sikh faith, was viciously beaten in his car after being called "terrorist" and "Bin Laden" and told to "go back to your country." He was repeatedly punched in the face and lost consciousness. State's Attorney Robert B. Berlin announced that his office has filed an amended juvenile petition to include one count of hate crime, a Class 4 felony, in addition to the five counts of aggravated battery. The decision was made after further investigation and the discovery of additional evidence in what was previously described as a "traffic altercation." Public outcry over the missing hate crime charge probably didn't hurt either. 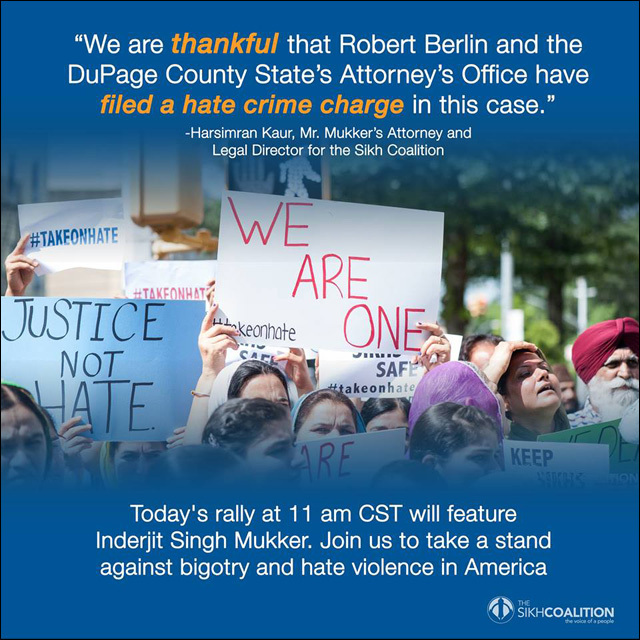 The Sikh Coalition, who has led the push for a hate crime charge in this case, says its legal team had a meeting on Monday with DuPage State's Attorney's Office and shared additional evidence and information that showed hatred to be the primary motivation behind the assault on Mr. Mukker. Harsimran Kaur, the Sikh Coalition's Legal Director, says that pursuing the hate crime charge was always about identifying and combatting hatred. "For the Sikh American community, a formal hate crime charge was never about a harsher penalty, but instead prosecuting the crime for what it was," said Kaur. "We can't combat the problem of hatred against minority communities in America unless our elected officials and government agencies acknowledge that the problem exists." 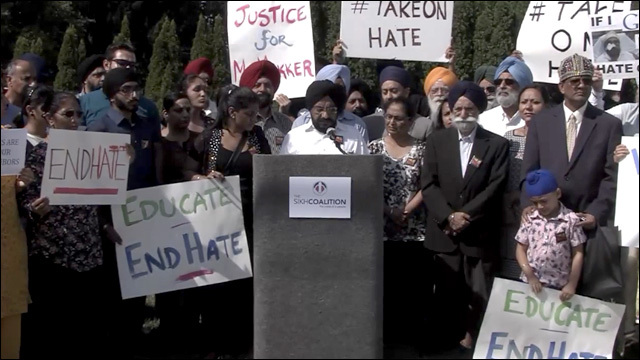 The state's attorney's decision came just hours before the Sikh Coalition's scheduled rally and news conference demanding the hate crime charge. The event proceeded this morning as planned, with the Sikh Coalition, interfaith leaders and community partners from across Chicago gathering to discuss the assault on Mr. Mukker and applaud the DuPage State's Attorney's Office to move to prosecute it as a hate crime. Just down the street from the site of the attack, surrounded by family and community leaders, Mr. Mukker talked about the vicious assault, thanked the community for its support and called on all Americans to stand together against bigotry. "No Sikh, no American should ever fear a simple trip to the grocery store," said Mr. Mukker. "I was attacked because of my brown skin, turban and a beard. 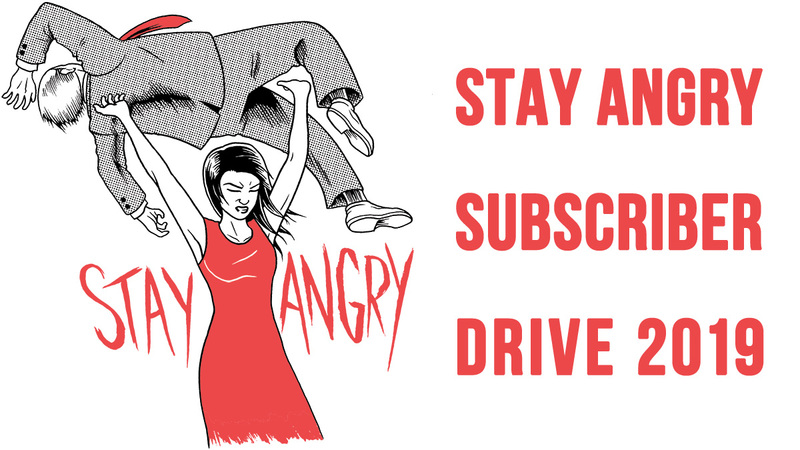 I was assaulted in my car because I am Sikh. My attacker saw me driving on this road, and instead of seeing my turban and beard for what they are -- articles of my faith that stand for the values of equality, selflessness and faith in God -- he twisted them into symbols of hate. He called me "Bin Laden." He told me to "go back to my country." This is my country. This is my home. I am an American, and no American should be judged or attacked because of the color of their skin or religion. This is why I am grateful that the DuPage County prosecutor has filed hate crime charges against my attacker. I thank Mr. Robert Berlin and his office for understanding that this was much more than an assault or a case of road rage. This was a hate crime. I was attacked because of the color of my skin and my articles of faith. Hate crimes don't just impact individuals. They terrorize entire communities. 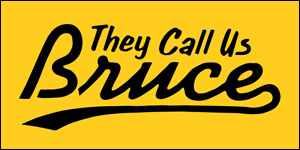 This hate crime was an assault on every American community, from Charleston, South Carolina to Oak Creek, Wisconsin, that has faced discrimination and violence because of their skin color, what they believe and who they love. This is wrong. We cannot let this continue."